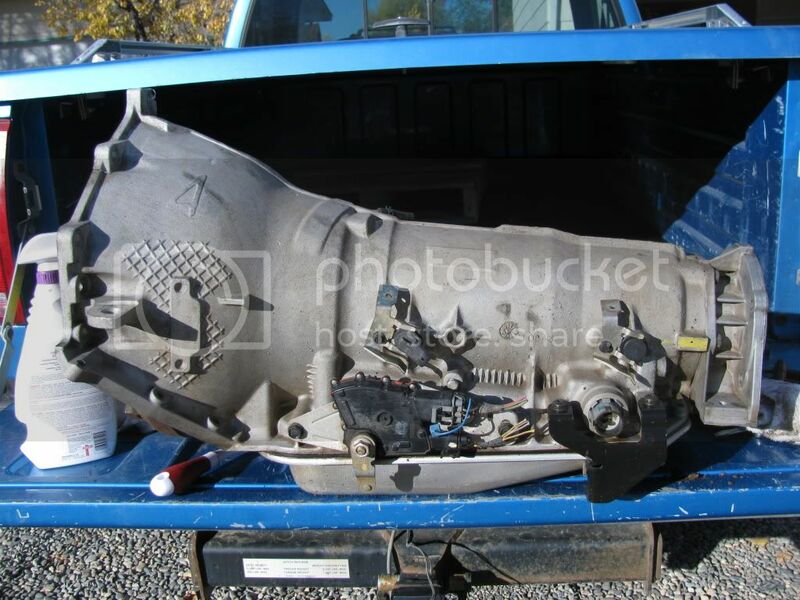 Ok so I have been getting a ton of PM's lately about what is needed to do the 4L80e swap into a AWD silverado ss. So i figured it was time to do a how to. This is how i did the swap. Im sure there are different ways to do the swap this is just how I did my swap. please for those of you that have done the swap like myself go ahead and add how you did yours. or ways you think work better. this may not be the best way to do the swap but this is just how i did it. i have had this done for 2 years without a single problem. 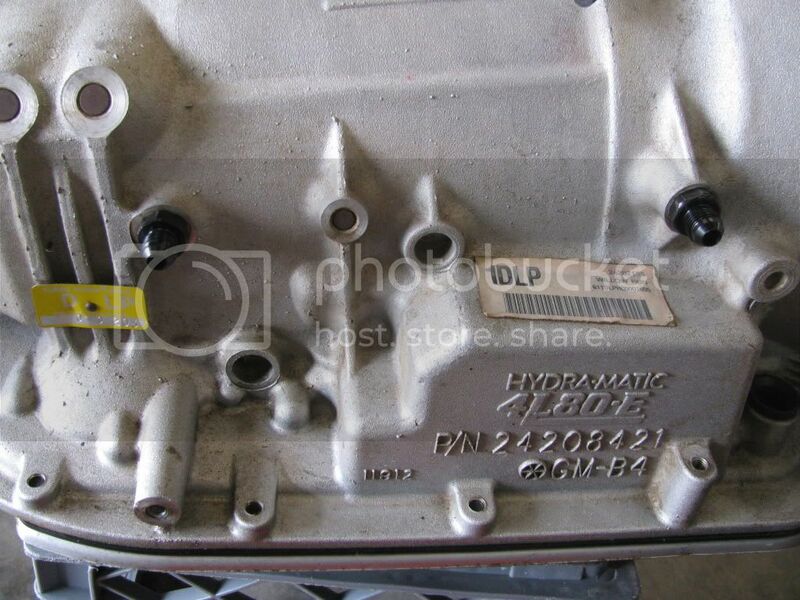 I used a 4 wheel drive 4l80e transmission out of a 2001 chevy van 2500. you can use a 2wd 4l80e transmission but you must changed the tail shaft in the transmission. because the the tail shaft for a 2wd is longed than a 4wd tail shaft. 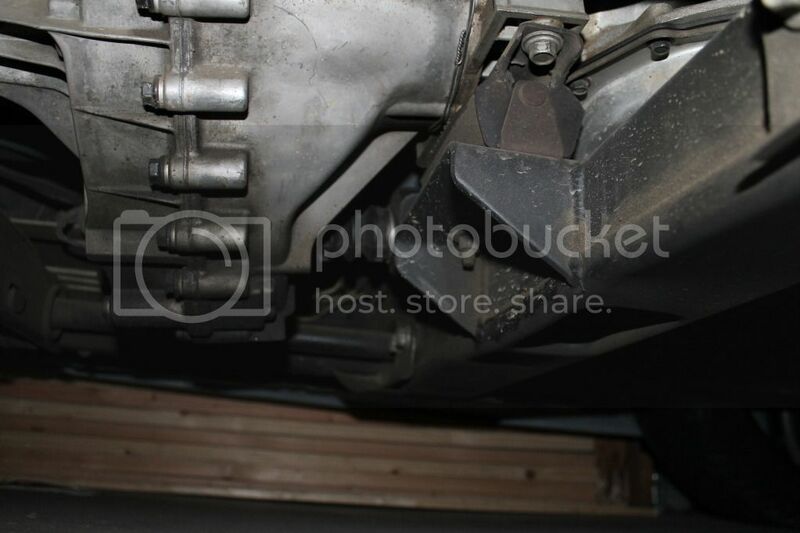 so the transfer case wouldn't bolt up because there would be a gap between the transmission and transfer case. Heres a List a what will be needed. 4 wheel drive 4l80e transmission. 4l80e converter you can use a stock one or a customer torque converter from a after market company. you will need a flexplate from a older 6.0 with the spacer on it 3/4 ton with a 4l80 or you can get a spacer with bolts from raptor transmissions. modifie your factory transmission cross member or get one from a 2500hd or there are company's that make them I modified my own it was easy. 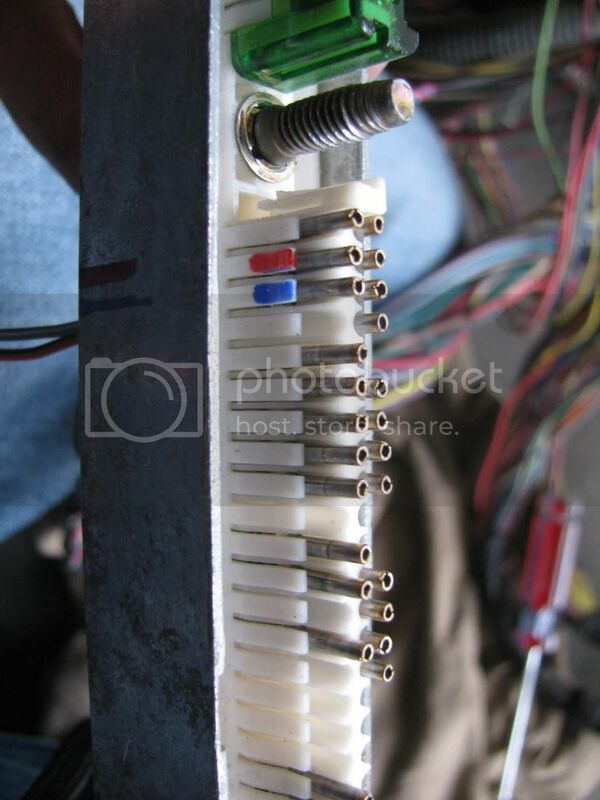 transmission cooler lines from a 2500hd or just go with flexible lines from transmission to cooler. your driveshafts will also need to be modified. 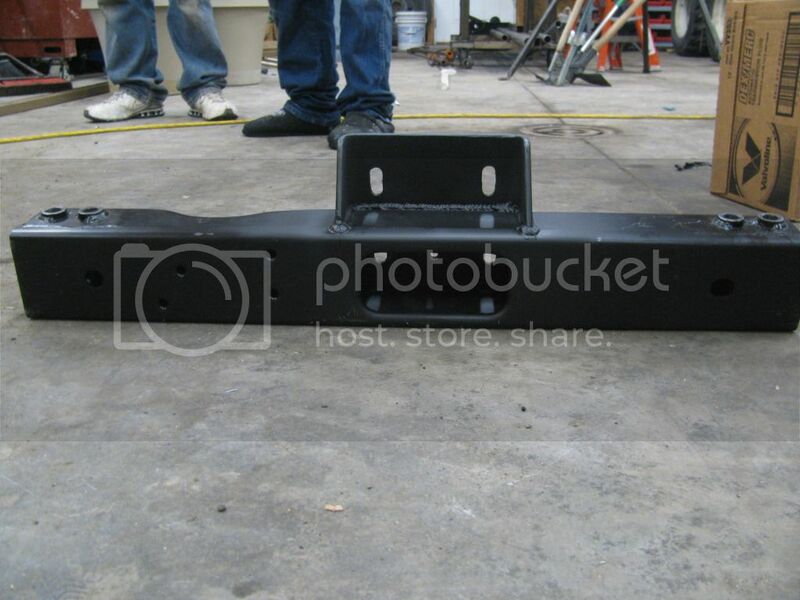 the rear will need to be shorter and the front needs to be lengthened. you could also get shafts from a 4wd 2500hd. I had my local driveshaft shop do mine. It was about $400 with new u-joints. 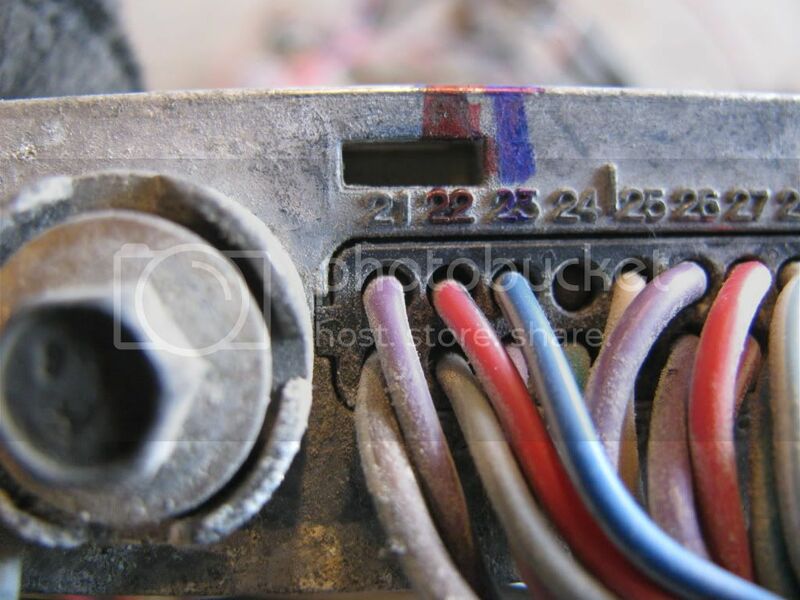 you will need your PCM retuned for the second speed sensor. over all this was a fairly easy swap. I had never done this swap until i did it to my own truck. If you have basic skills you could do this yourself. 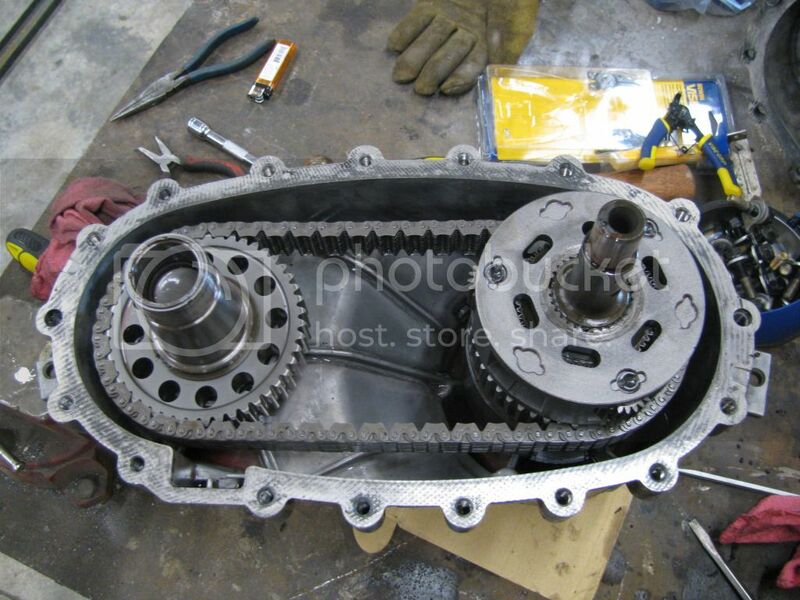 if you can do a transmission swap you can do this. Here are few questions you might ask. ill just answer them because I myself was confused before doing the swap and it all came together after I did the swap. you might ask why do the need the t-case shaft from time to kill. 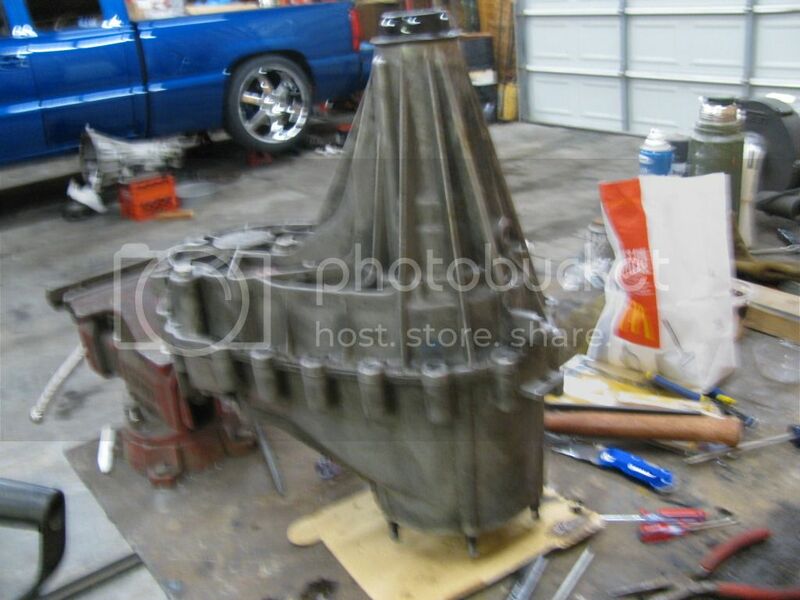 well the factory 4l60e has a smaller tail shaft than the 4l80e so when you go to mount your transfer case to the 4l80e transmission it wont go together because the 4l80e tail shaft is a lot bigger and wont go into the transfer case. the 4l80e transmission is a longer transmission so thats why you have to modifie the cooler lines, transmission crossmember and driveshafts. The 4l60e/4l65e transmission use's only one speed sensor where the 4l80e uses 2 speed sensors. after you have everything you need for the swap and you are ready to start the swap. 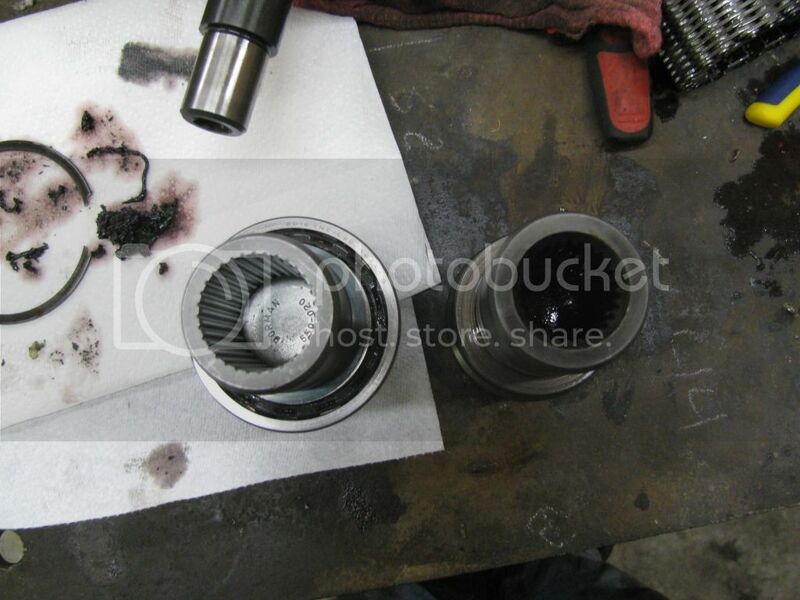 you needs to drop your 4l60/4l65 out along with your transfer case. after you have those removed you will need to do a few things. before you can go in with the 4l80e. 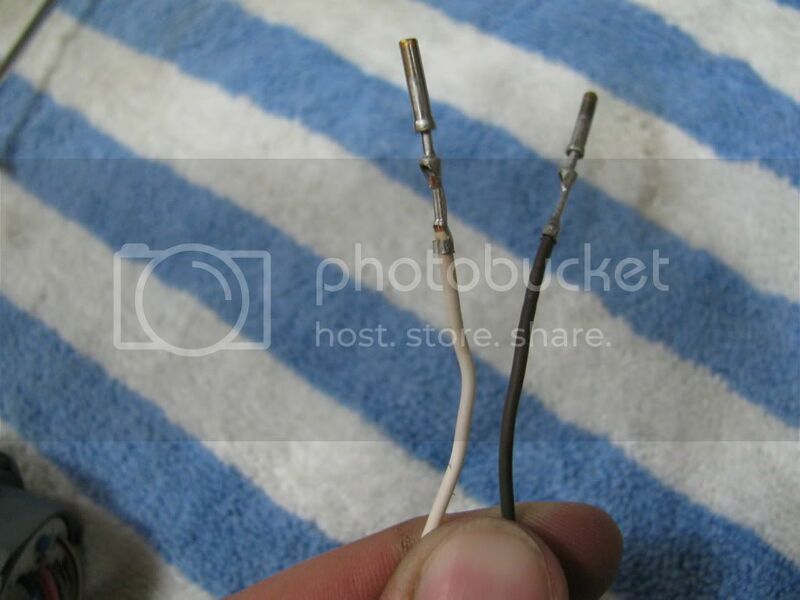 at this time you will want to tackle the wiring part of the swap and also the flex plate. 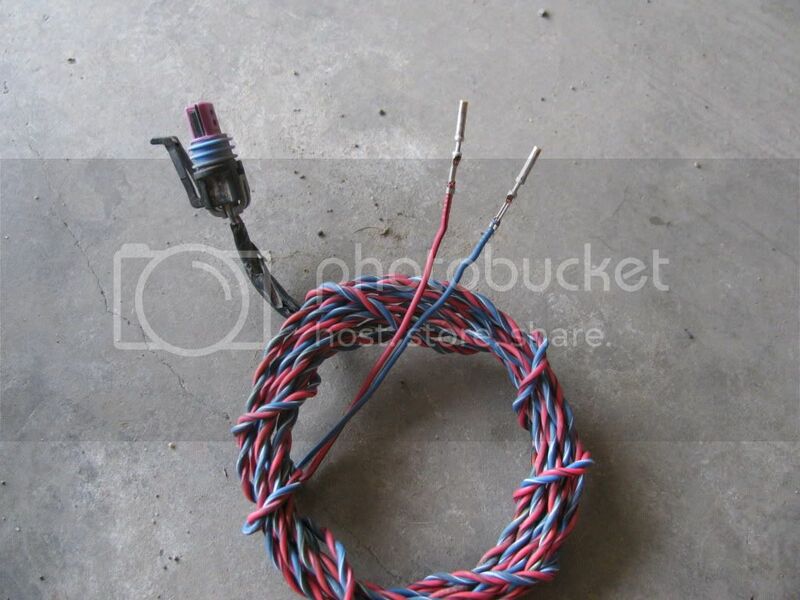 for the wiring parts its just a matter of depinning 2 wires on the transmission harness and swapping one of them around. 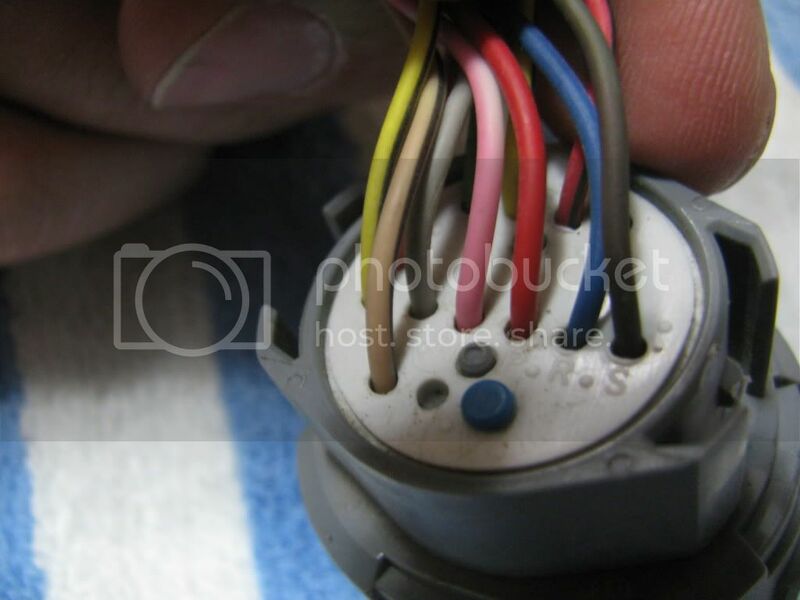 then you will be adding the 2 wires for the second speeds sensor. 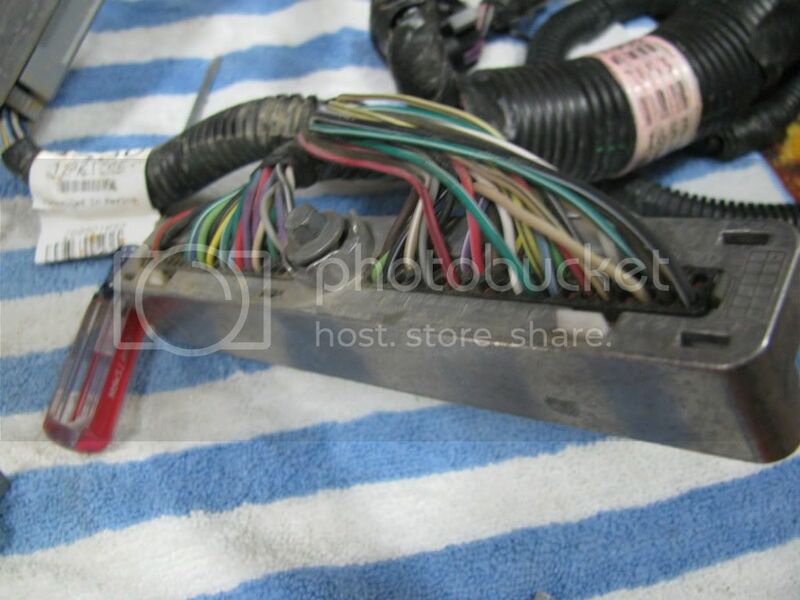 will start with the transmission harness. on the transmission harness. you will need to tear it down. it looks like this. you will need to pop this is little cover deal off. like so. the insides will look like so. after getting these unpinned they should look like this. like so then i just heat shrinked it. now just put the harness back together. your all done with the electrical part of the swap. 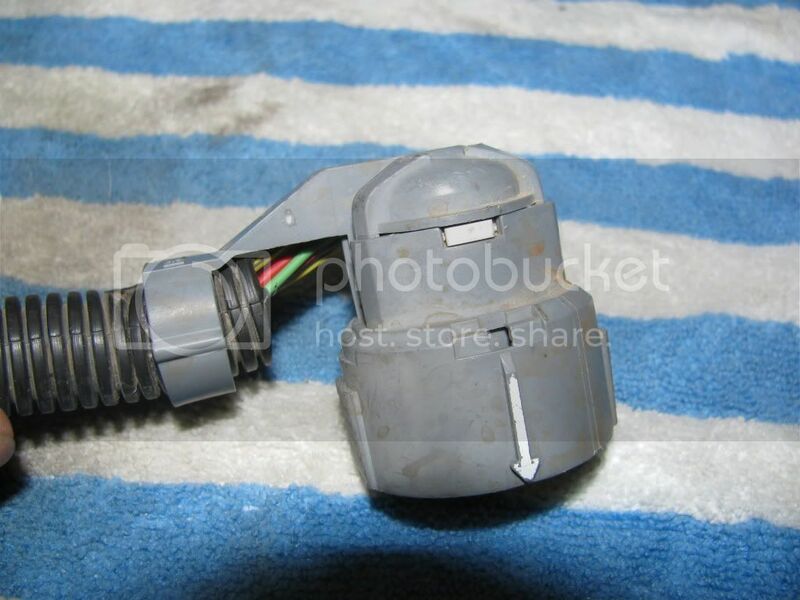 heres the second speed sensor part. i got my second speed sensor harness from a donor spare harness i had laying around. 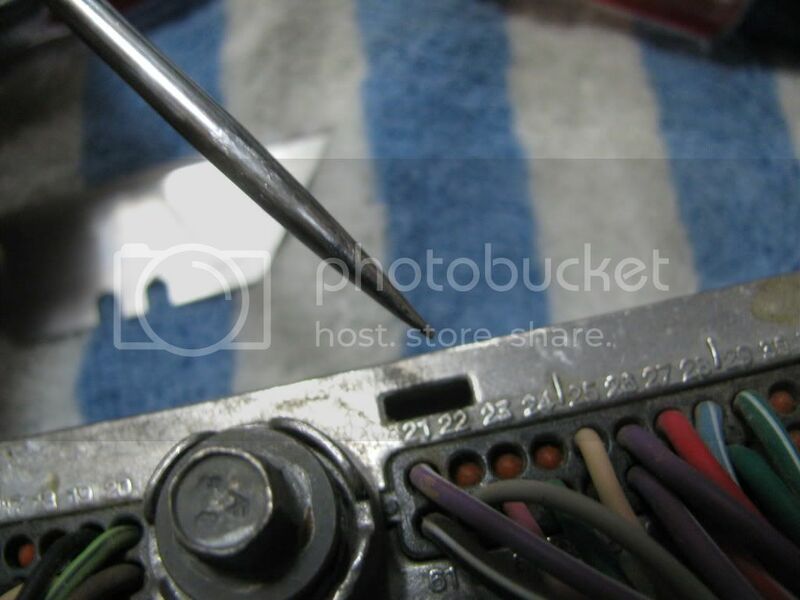 for this part you will need to unbolt the plugs from the PCM. the PCM is located if the front of the truck under the hood. right below the battery on the drivers side. it has a black cover over it the pops of. 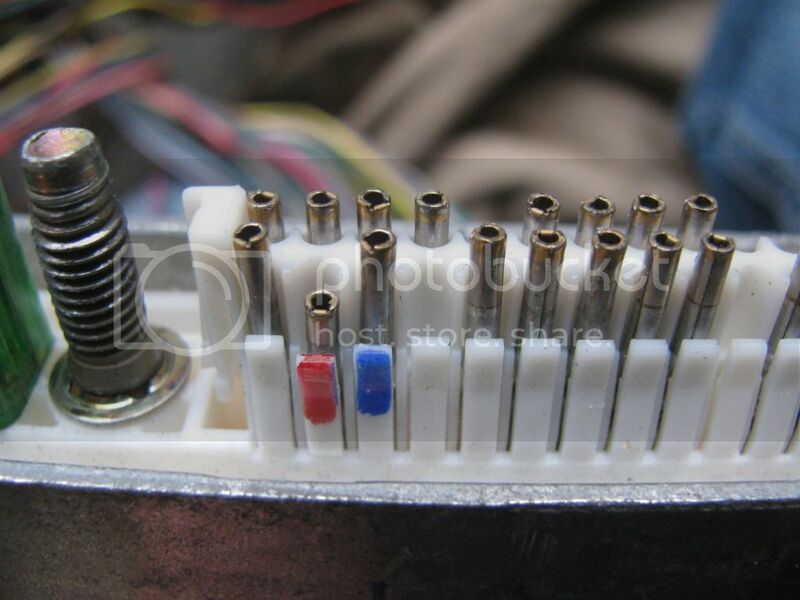 there is a bolt on the center of each connecter. after you have unbolted them from the PCM you will be working with the green one. one is green and the other is blue. you wont need to touch the blue one only the green one. here is what they should look like after unbolted from the computer. you will want to get the little grey cover off the back of the green pigtail. 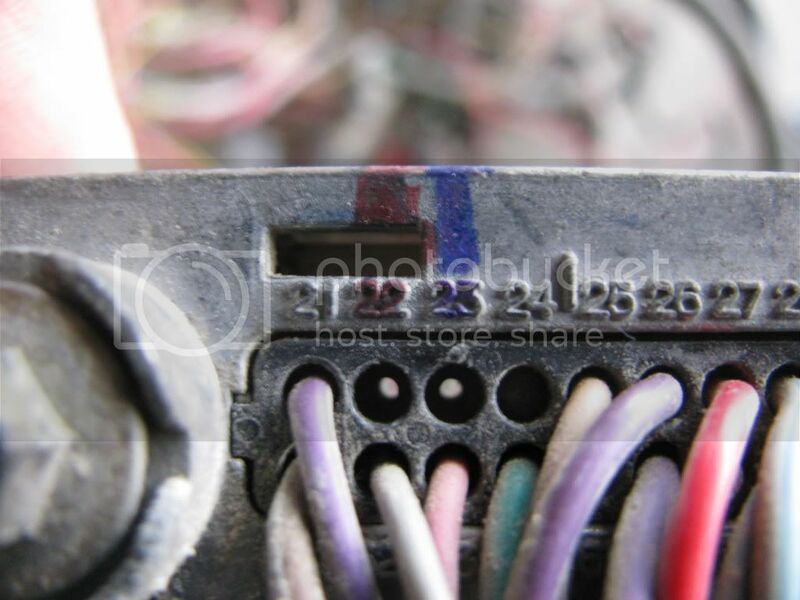 the little grey cover just covers up all the wires going into it. now you will want to get the green little cover off the front of the harness. they look like this. 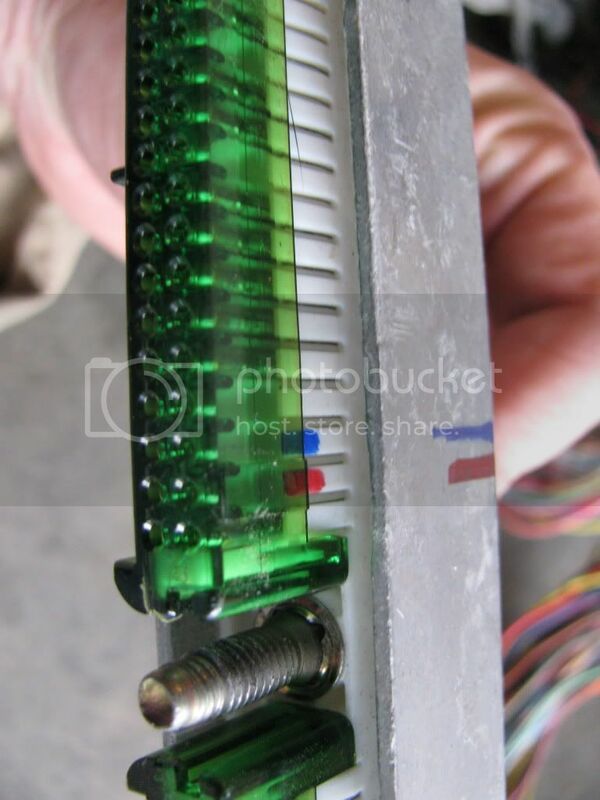 to get this green clip off will need a small flat head or a straight pinning tool. there is 1 little clip on each side of the of the harness that you will need to press in and the green top will pop right off. it should look like this after getting it off. 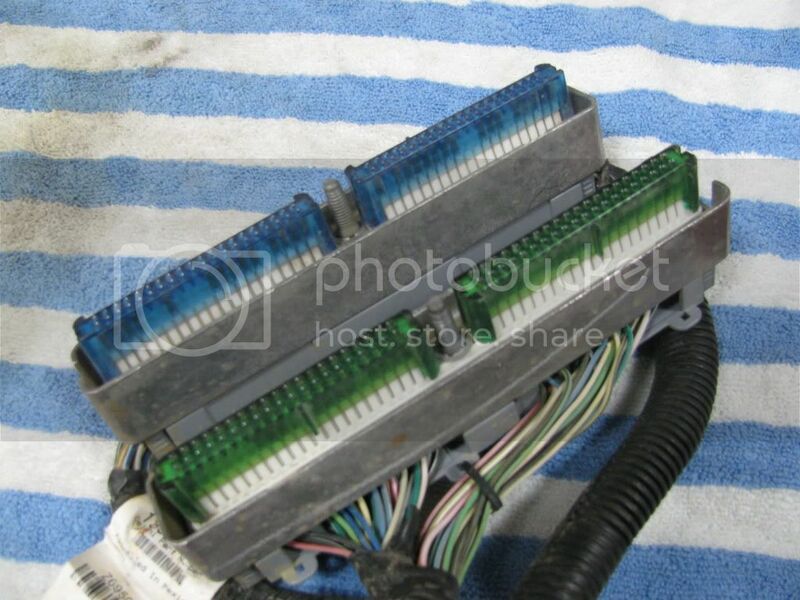 so after getting the green clip off your going to want to flip the harness over and look for pin holes 22 and 23. these are where the second speed sensor wires into. it should look like so. you will want to have a pick tool and poke a hole in the little orange rubber deal. 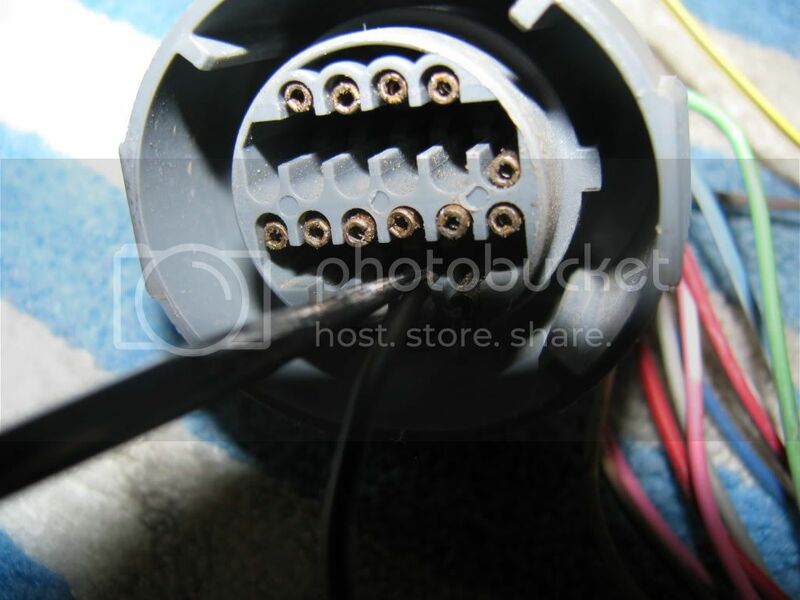 because this this where the wires for the speed sensor go. should look like this after you have poked the holes. next you will be installing your second speed sensor harness. Like i said i got my second harness from a donor harness i had layinf around you can buy just the wiring harness from raptor transmission. heres where mine looked like. there other side of the harness should look this this. i colored them to show you. after you have got those 2 wires into the harness just put everything back together. you done with the wiring part of the install. I dont have pictures of the flex platewith the sparer that I used. but if you use the space. 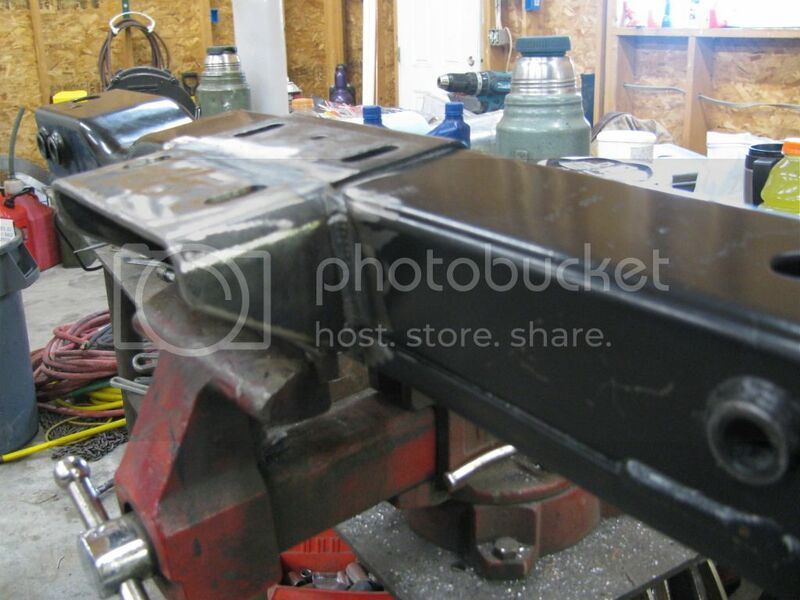 you will install the spacer in between the flex plate and crank shaft. thats it for the flex plate install of the project. Next I would tackle the transmission cooler lines sense you will have room. I installed the bigger transmission cooler so i got rid of the factory transmission cooler and I all bypassed the radiator and just went straight to the tru-max cooler. I got rid of the factory steel lines and went with flexible press lock hose and AN fittings. If you want to go with the factory steel lines you can order and set of lines from your local GM dealership from a 2500 HD silverado with a 6.0 4l80 transmission. 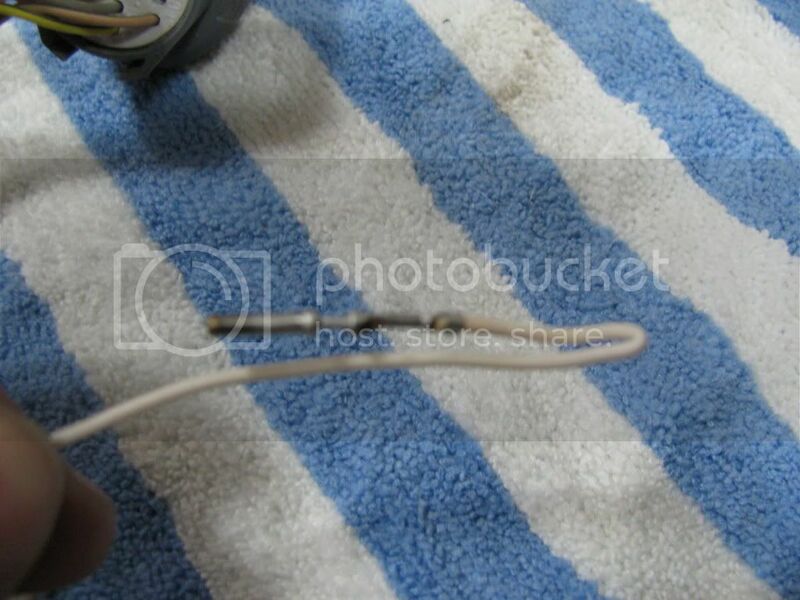 If you want to run flexible lines with AN fittings you can get AN bugs off Ebay that will bold right into the side of the 4l80 transmission and you can hook AN fittings right up to them. heres a picture of what they look like. 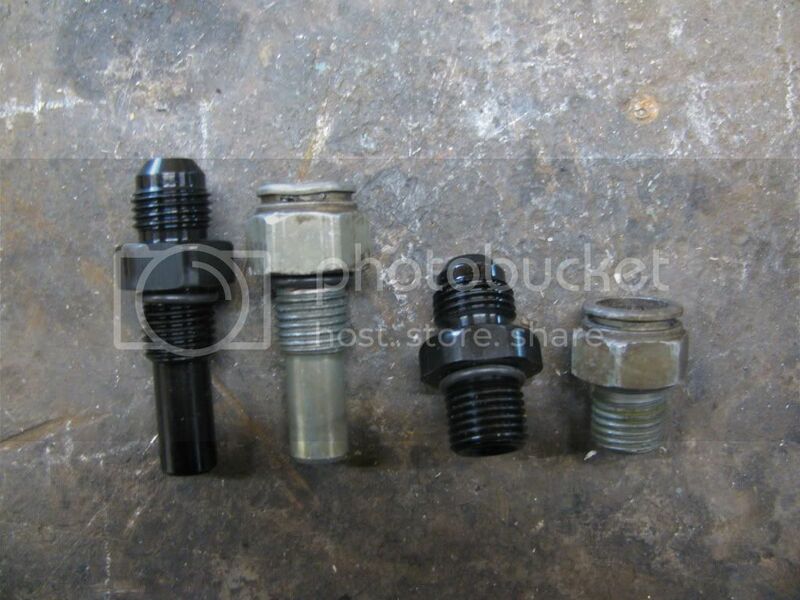 these are different than 4l60e/4l65e fittings. you just remove the old factory ones and install these. heres what they look like installed. they work pretty slick. the rest is history you just run your lines and attach them how you want to. I didn't take pictures of this step. because I figured most can figure it out on there own. after you have done all the steps above you are ready to install the 4l80e transmission, torque converter and dipstick tube. the 4l80e bolts right up to the engine just like the 4l60/4l65 did. nothing needs changed to mount this to you motor. 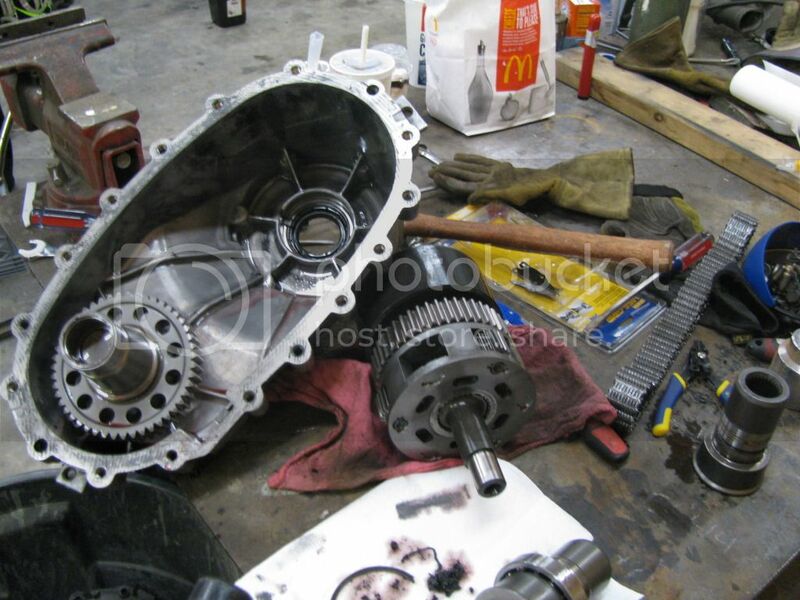 but please before installing the transmission make sure to put the torque converter into the transmission. I'd sure hate to get the transmission in to find out you forgot to install the TC. before you install the transmission I would get the 80 dipstick tube into place because it will be a pain to get in after the transmission is installed. after you have the transmission in you will need to support the transmission so you can build your transmission crossmember.. we built my crossmember after the transmission was all bolted it. There are a few different ways the can be done. so guys have chopped there cross member in half and used flat bar to move the middle part of the crossmember back. I personally didn't want to chop my cross member up. so we just bent up some thick flat bar and added it to my factory crossmember. like so. you will need to measure where it needs to be i can't remember the measurement's. but just install your crossmember and you can just measure off that. 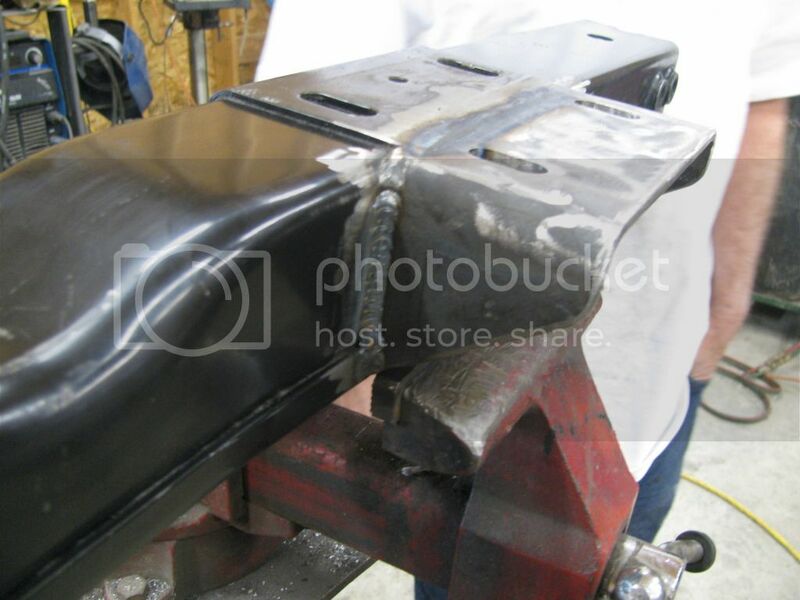 the factory crossmember will bolt right in even with the 4l80 installed but the transmission bolt holes won't line up with your crossmember so will need to make a bracket and weld it to make the transmission mount to the crossmember. here how we started the crossmember. 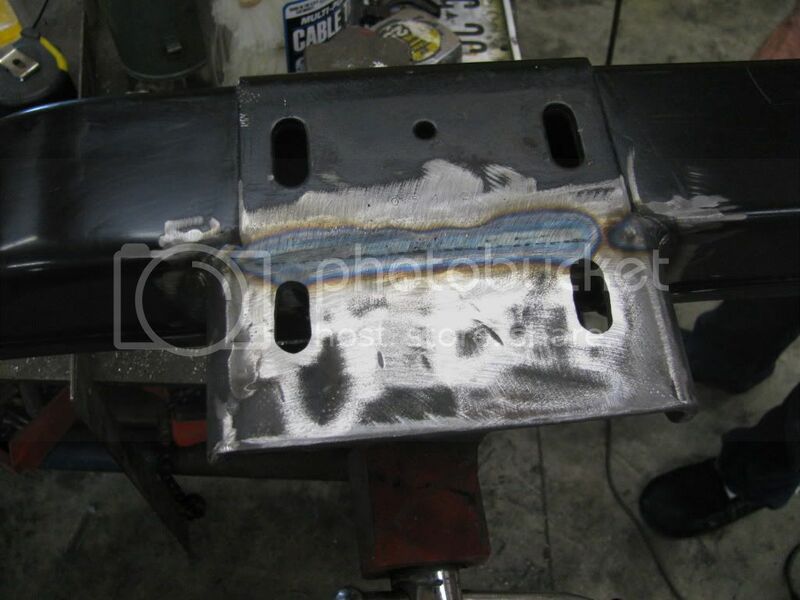 we just welded it right to the factory crossmember. after we measured every thing up and got it where we needed it. heres what it looked like all said and done. heres what it looks like installed in the truck pretty simple mod. next you will be working on the transfer case shaft. this is pretty straight forward. most of it is just disassembling the transfer case and tearing it down to take the old shaft out and installing the new shaft. I had never torn down a t-case but it was pretty simple inside just watch how everything comes apart and put it back together. you will need basic tools for this and a set of snap ring pillars. If you have a buddy to help led a hand for this part I'd use him. with some parts you need another set of hands. you could do it with one guy but it made it easier for me. Id didn't get a step by step pictures of this but its pretty straight forward. here it is being torn down. you can look theres not much to these. 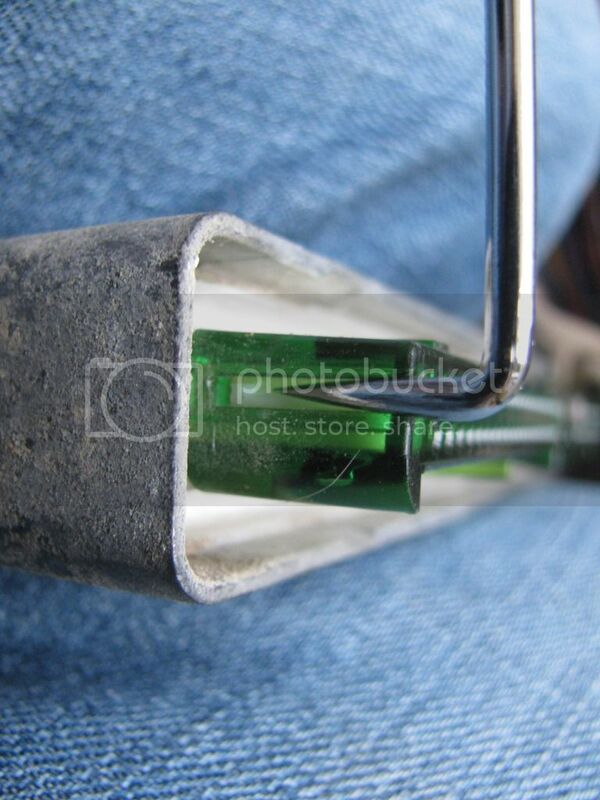 In this picture you can see the blank hole thats where the new shaft goes's in after you have removed the old shaft. the old shaft is in this picture at the bottom you can see where it has a bearing on it. 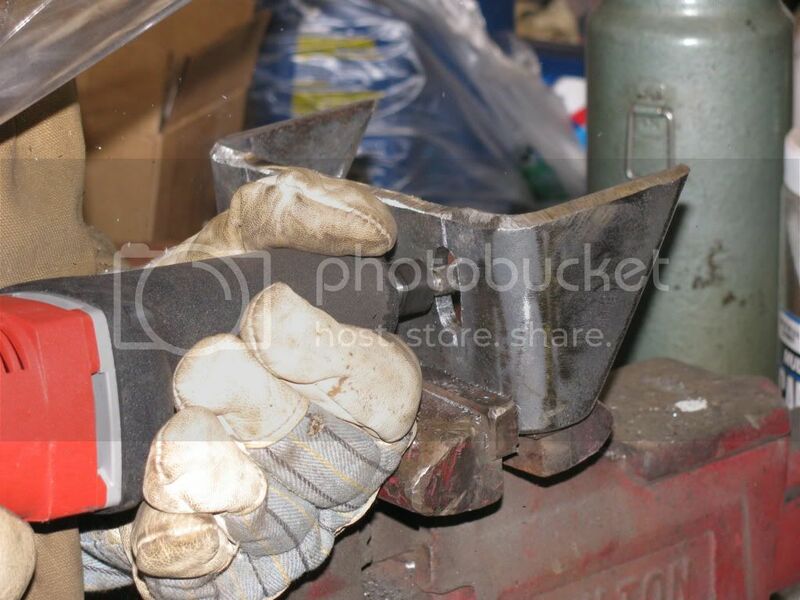 you will need to remove this bearing off the old shaft and install it on the new shaft. you might need to have it pressed off the old on and pressed on the new one. depending how tight it is on there. we just tapped the bearing off the old one lightly with a hammer and tapped it on the new shaft. 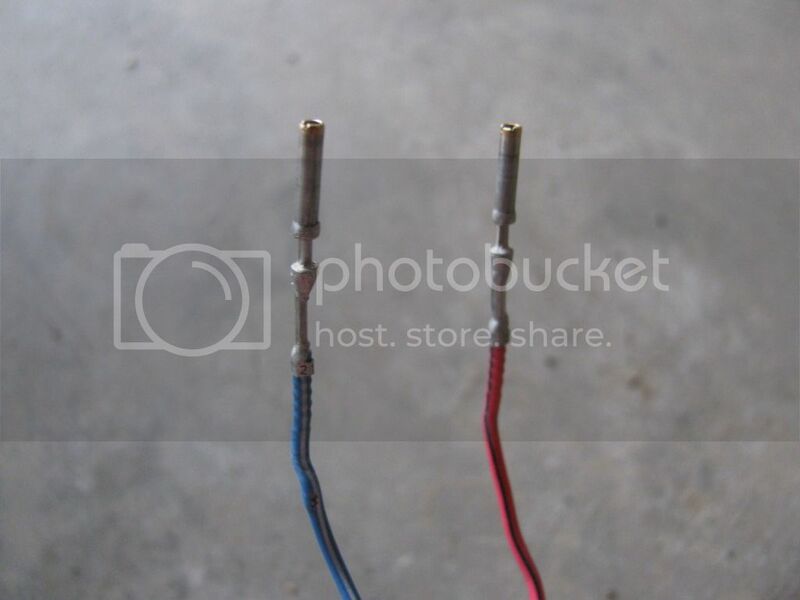 heres the difference in the 2 shafts. you can see where one is bigger than the other. new one is on the left bigger. the old smaller one is on the right. 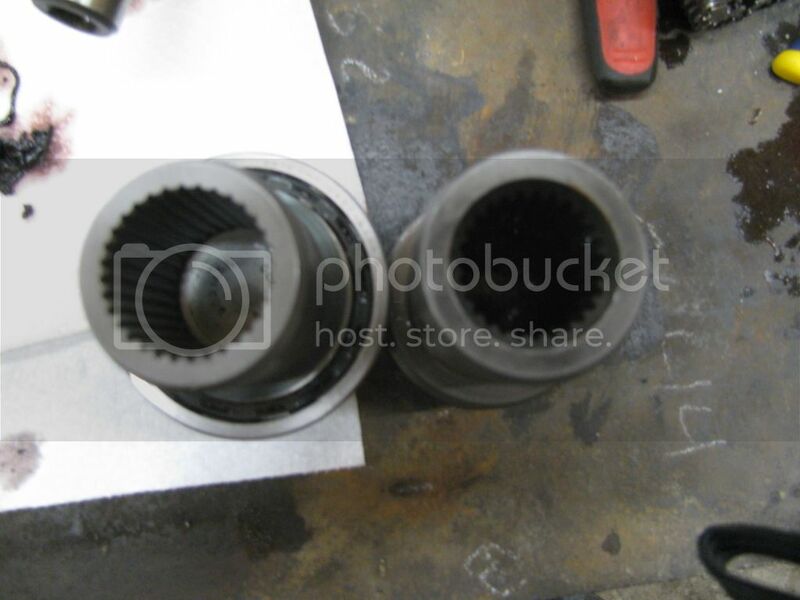 see how the spline hole is a bit bigger. after you get the new shaft in just put the t-case back together. 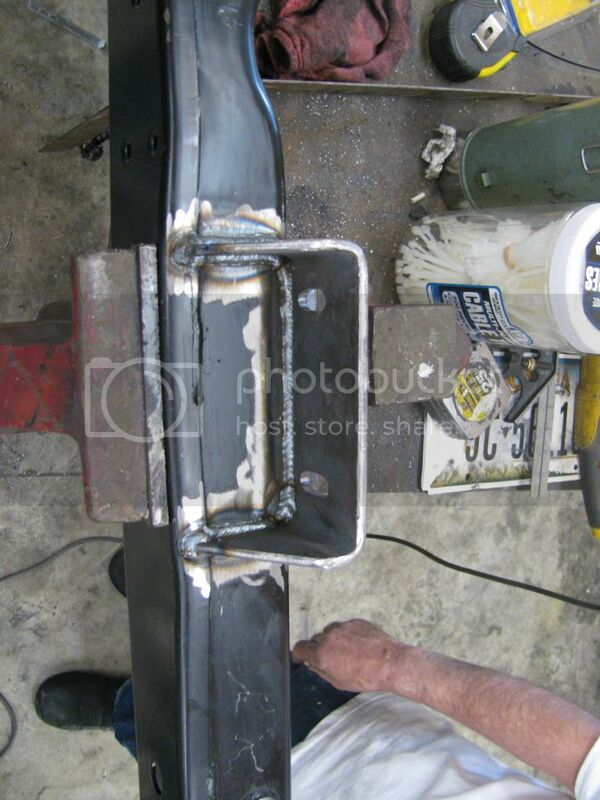 they don't make to gasket for the t-case so you will just need to use RTV-black on the case. make sure to clean the mating sure on the t-case before adding the RTV-black and then reassemble it. 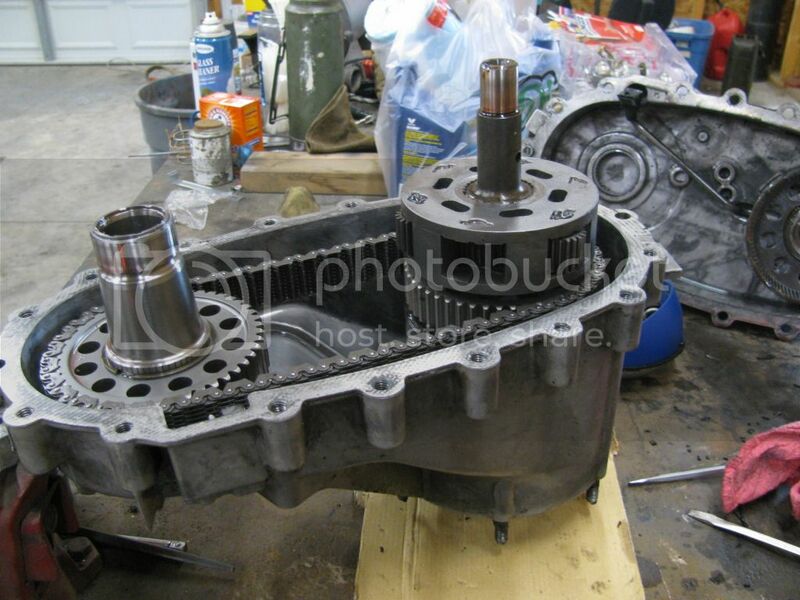 after the t-case is back together you can now install the transfer case to the transmission and bolt it together. I personally just use RTV black in-between the t-case and transmission. I just wait 24hours for the rtv black to dry. So now you should be ready to install your driveshafts. but this is where you will need to either have you stock driveshafts modified or buy a set from a 2500hd 3/4 ton that had a 4l80. I had mine redone at a local driveshaft shop here into. it was almost $400. 00 to have both shafts done with new U-joints on both shafts. I sorry but I can't remember what length's the shafts need to be. I know the rear one needs to be shortened and the front one needs to be lengthened. to measure what your shafts need to be. 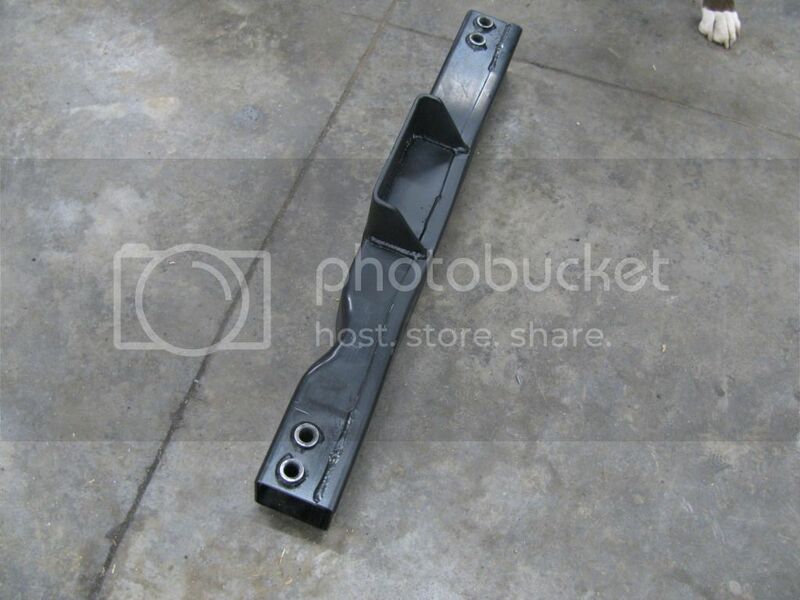 make sure the truck is on the ground or its being supports by the rear axle and not the frame rails. the truck needs to have its full weight on the rear axle or it will throw your measurements off. we just put the rear axle on jack stands and did. my measurements. other than filling all your fluids and getting your PCM tuned for the 4l80s transmission you set. thats it. you all done. If you have any questions feel free to ask away. I'm done at the point. 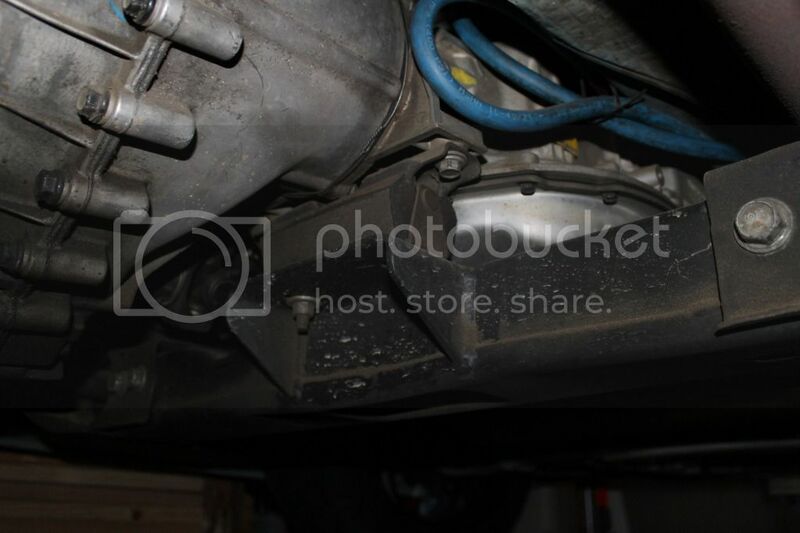 In this picture you can see one speed sensor mounted on the side of the transmission toward the front. its located right above the PRNDL switch. 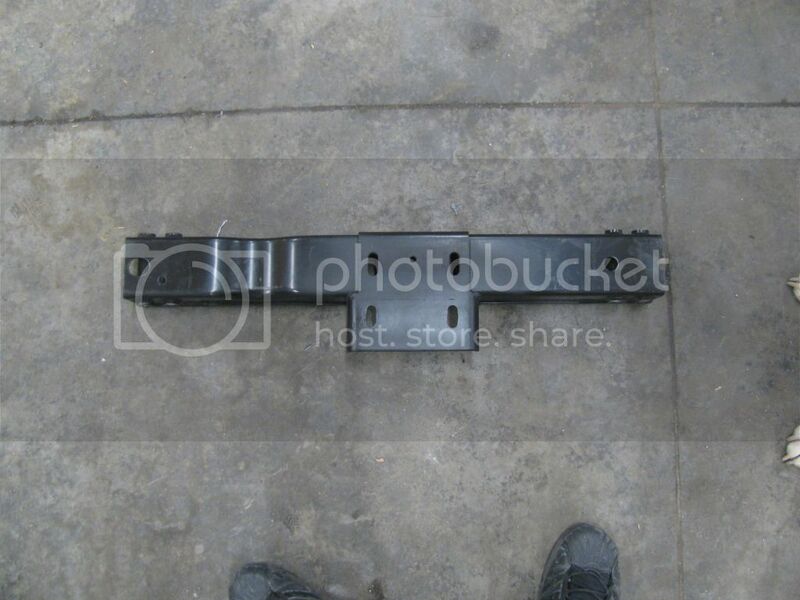 its has the steel little bracket that hold's it into the transmission. 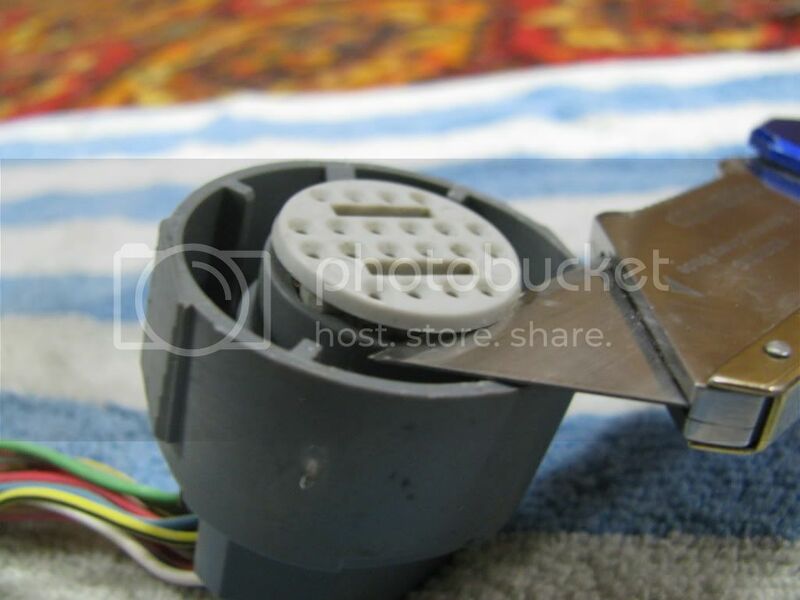 this is the second speed sensor. 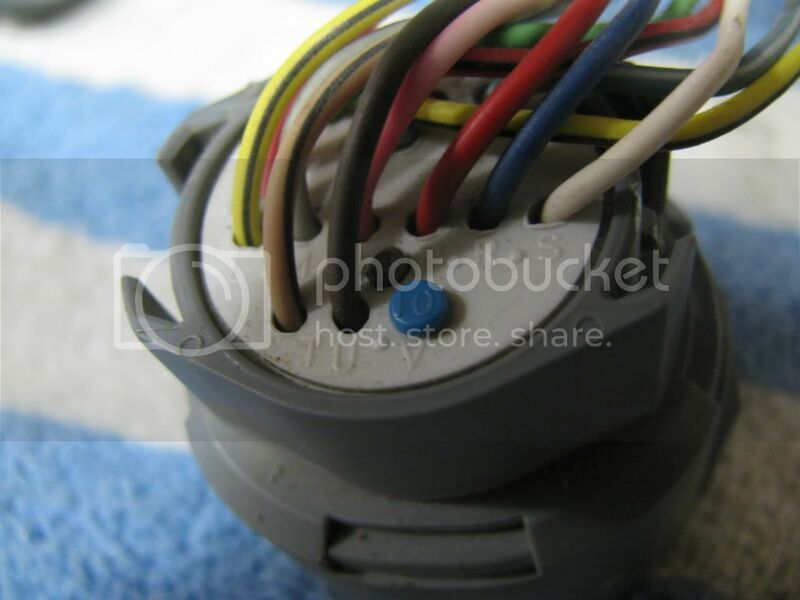 this is the sensor that your second speed sensor will need to to clip into. The factory speed sensor is mounted In the tranfer case and will stay there for this swap. Mods this needs to be pinned. So much good info right here. Thanks Shawn. 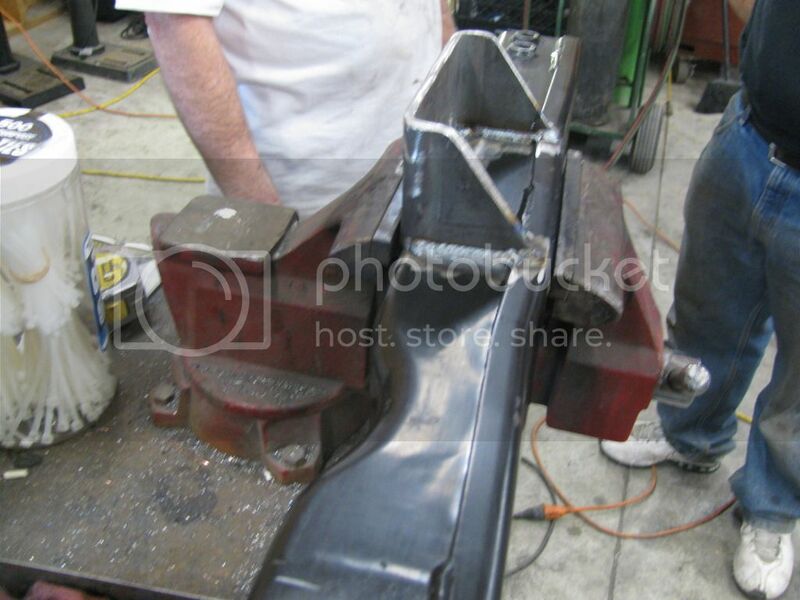 nice shawn good info here maybe somebody can chime in with the length of a rear drive shaft , i dont know how many times i have been asked that and cant remember also lol. as for front shaft if you just want to buy a new one or find one in a salvage yard the part number is ... 15182094 front shaft. i found mine on ebay for around 100 bucks. Bump. Lots of good info here and it seems like lots of 80e swap questions lately. I wouldn't think so where the engines are different. The lq9 has a different tune. The PCM will have to be programmed for the lq9.